The Maldives truly is a Mecca for surfers. Its popularity has grown over the years, in line with the endless amount of information available to visitors. That’s why LUEX has pulled together information from the best sources to create the Ultimate Guide to Surfing Charters in the Maldives. When is the best time to surf the Maldives? That depends… your duration of stay, budget, and skill level all impact the answer. The surf season begins in February/March running until October/November, but waves are on offer all year round. Once you’ve packed the essentials and made your way there, it’s all fun and games in the world’s premier surf destination. The quiet and relaxed Northern Atolls such as Baa, Lhaviyani and Noonu provide idyllic scenery and privacy. This comes as no surprise as the region is the only UNESCO Biosphere reserve in the Maldives and offers beautiful nature far from the crowds. In contrast, the Male Atolls are the busiest areas of the Maldives with North Male providing the highest density of quality waves and surfers. South Male appears very similar but generally provides slightly fewer surf spots as well as crowds filling the lineups. 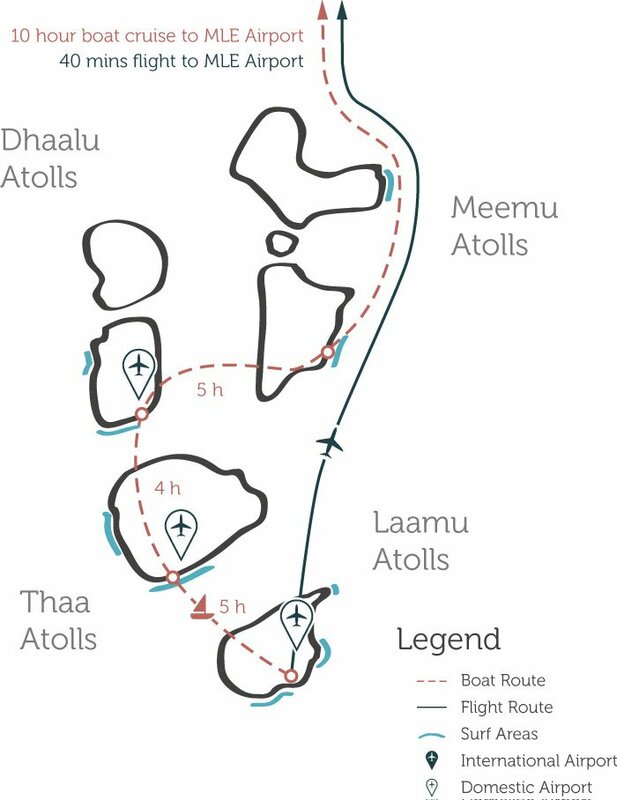 Go searching in the Central Atolls for the largest selection of breaks. With reefs facing southwest, south, and southeast you can explore a variety of world-class spots surfed by fewer crowds than the ones around Male. The Southern Atolls are the territory for all adventurers and explorers. Here, it is likely to find virgin waves, secret spots, and empty lineups. Facing endless ocean in three directions transforms these secluded Atolls into real swell magnets. The only downside really is, that the variety of options can be overwhelming and the planning a tedious operation taking into account a variety of factors such as season, budget, scheduling boat and flight times and so on. Hence we have put together a set of maps for you to get a better idea of which boat charter itinerary would put the biggest smile on your face. 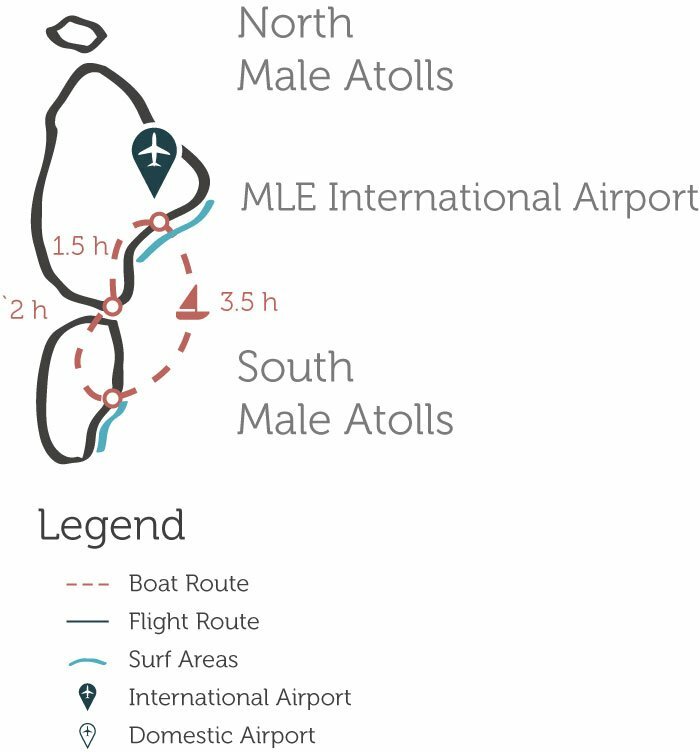 Check the overview map for an overall geographical setup of all Maldivian Atolls, their most important national and international airports as well as their best surfing regions. Once you have a basic idea of which Atoll might be the one for you, check out our Atoll-specific maps. 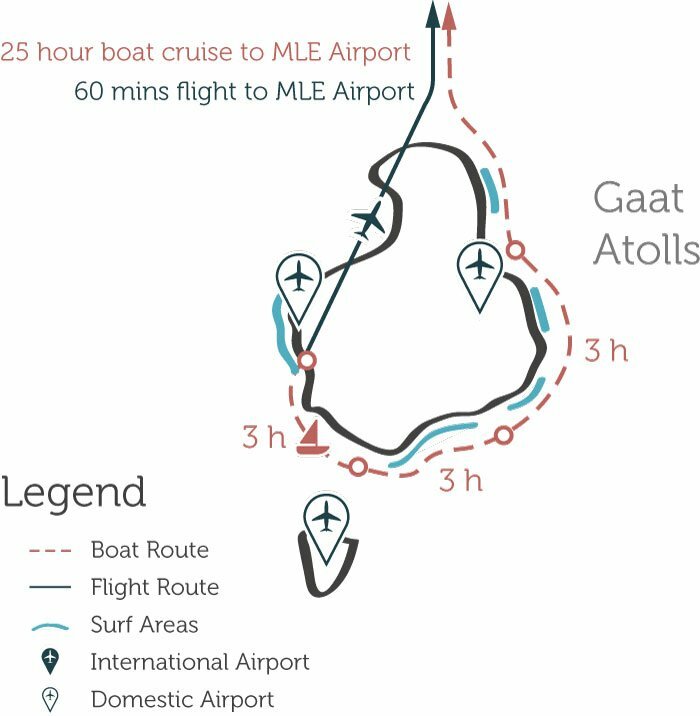 These provide far more detailed insights such as routes, cruise times, airport locations and an in-depth description of the pros and cons for the Atoll in question. 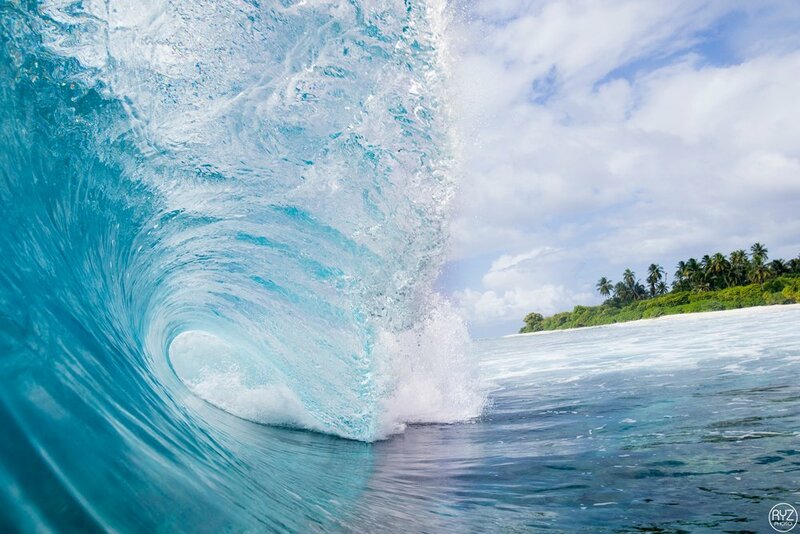 The North & South Male Atoll offer the most accessible waves in the region and arguably the best. These atolls lay just north and south of Male, the country’s capital. Don’t confuse this area with the Northern or Southern Atolls (we’ll get to those soon). With perfect protection from the wind, regular swells, and perfect reef setups, North Male Atoll probably offers the Maldive’s best surf. Unfortunately, that sweetness can be a bit soured as it also pulls the crowds. The best time to visit the area is in March/April until September/October with waves peaking from May to August. When a bigger swell hits (or on strong easterly swells) South Male Atoll is a hidden gem. The waves here are an absolute joy! Clean and consistent with some playful and some hollow. A little more blocked from Vaavu Atoll, which consists of 24 islands, South Male Atoll receives less swell is also more secluded from the rest of the region. You will have a great chance to score empty lineups. Most of the boats are based in Male, and with no domestic flights required you’ll find the best rates for surfing charters. Account for US$130-300 per person per night (depending on the standard of the boat). Right… Central Atolls are relatively easy to access. I’ll get to the accessibility part shortly, but suffice it to say crowds are small. There are southwest, south, or southeast facing setups. Options are plentiful and the surf season is all year round (March to October being the most consistent months). It’s recommended staying at least a week on a surf charter in the Central Atolls, but even better to push to 10 nights or more if you can. On the downside, you may find trips to be 60-80% more expensive than North Male due to fuel surcharges, relocation of the boat, and possible domestic flights. This itinerary is recommended for those lucky enough to be staying longer than 10 days and for the budget conscious. You would join the charter in Male, sail down to Laamu/Thaa or Dhaal, and then you would return to Male on the boat. As no domestic flights are required (saving about US$215 per person per way), and the charter boat doesn’t need to be sent to Laamu without guests (which you need to pay for), you’ll find this is the most cost-effective journey. The bad news is that it’s a long way from Male to Laamu. Twenty hours of cruising time each way. You wouldn’t do it in one go and you can surf several spots every day on the way. But surf charters usually don’t travel at night so commuting is done in daylight – meaning the loss of surfing hours. Similar to above but with increased surf time but also increased travel costs. This allows you to see the many waves on the way whilst maximizing surf time. Start in Male, sail down to Laamu (along with South Male, Meemu, Dhaal & Thaa) and fly back to Male, or vice versa. Once again we recommend this for trips of 10 days or more. Cut out the cruise time altogether by flying from Male! Meet the charter and sail Laamu, Thaa, Dhaal, and Meemu Atolls, and flying back to Male at the end of the trip. Obviously, this comes at a price tag with the return domestic flight – plus the costs for the charter boat for return relocation without guests. But! Surf time is completely maximized, which is what you came here for after all, right? With nothing to block the swell, the waves down here are generally the Maldives’ biggest. Perfect reef setups can be found, big swells, and (except for the popular months of March/April) completely uncrowded lineups. As always this comes at a cost, with boat trips generally charging twice as much as North Male. 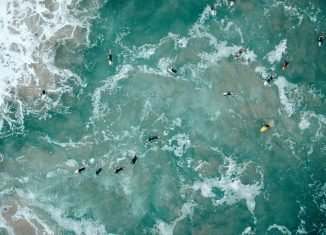 The surf season is all year round (waves peak from March to October) with fairly consistent waves on offer at anytime. For the risk-averse traveller, we’d suggest compromising between winds and swell. Ideally book a trip anytime from late-February until May, or September until November. The road less travelled. If you’ve dreamed of jumping off the gringo trail and exploring untapped regions, Northern Atolls could be for you. Only a handful of local surfers know these areas well enough to guide trips there. It admittedly lacks consistency, with smaller swell windows and inferior reef setups to neighbouring areas. The reward, you ask? This is area if one of the most uncrowded tropical surf destinations in the world. Long-boarders and SUP riders will love it, and so will short-boarders chasing no crowds (at the price of some swell inconsistency). It is rare that you’ll be sharing waves. This is a very economical option for the money-conscious traveller. As always start in the Maldives’ hub, Male, sail up to Baa, Raa, Lhaviyani and/or Noonu Atoll, and return to Male. No domestic flights are needed (approx. US$160 each way) and no money is wasted on idle relocation of the boat. However, you will once again be faced with about 10-20 hours of cruising during the day, losing quite a bit of surf time. Stays of at least 10 days are recommended to make this worthwhile. 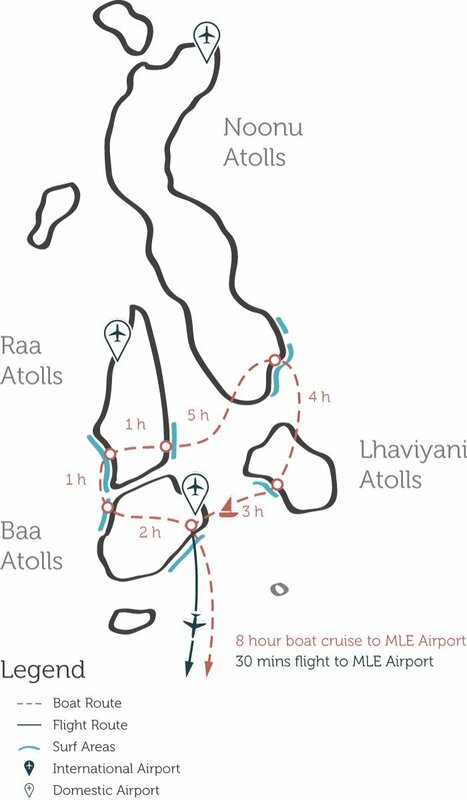 Sail from Male and up to any Northern Atoll spot (along Baa, Raa, Lhaviyani and/or Noonu Atoll) but finish by flying back to Male from Baa Atoll – or vice versa. This removes half the cruising time. Providing you’re willing to spend a little more on a one-way domestic flight and delivery of the boat. Once again, this is recommended for those on at least 10-day trips. The most time-sensitive option is to fly from Male to Baa Atoll. You’ll then sail Baa, Raa, Lhaviyani and/or Noonu Atoll and take a return flight to Male from Baa. It’ll cost you a return domestic flight ticket and relocation of the boat but it won’t cost you twenty hours of commuting. This option will give you the most time in the water! There you have it, the Rolls-Royce of surfing charter guides for the Maldives. Find this handy? Please check also our related article (How To Choose And Plan The Perfect Boat Trip To Surf The Maldives). For further information and recommendations tailored to your requirements, please contact our team of Maldives experts and let us help you find your dream Maldives surf charter. Born and raised on the edge of West Australian waters, Dave has a thirst for new adventures... and for telling everyone about them. With ski seasons spent in Canada, New Zealand, Austria and Oz he is as much snow junky as he is salt water rat.